Nordstrom Galleria Dallas recently held its semi-annual Beauty Trend Show and, as usual, it was a huge hit. This is one of the best beauty events of the year. Hundreds of energetic makeup-lovers gather at 7:00am for what some call "beauty church." And if you haven't been, trust me, that's what it is! Vendors and brand reps from Dallas and around the country come to teach us about the latest in skincare, makeup, and perfume. Another thing that makes this event so useful is a presentation of the latest trends of the season. Learning about how to do your makeup is great, but you also have to know what to wear it with! What made it even better was spending this beauty-filled morning with friends and fellow bloggers. 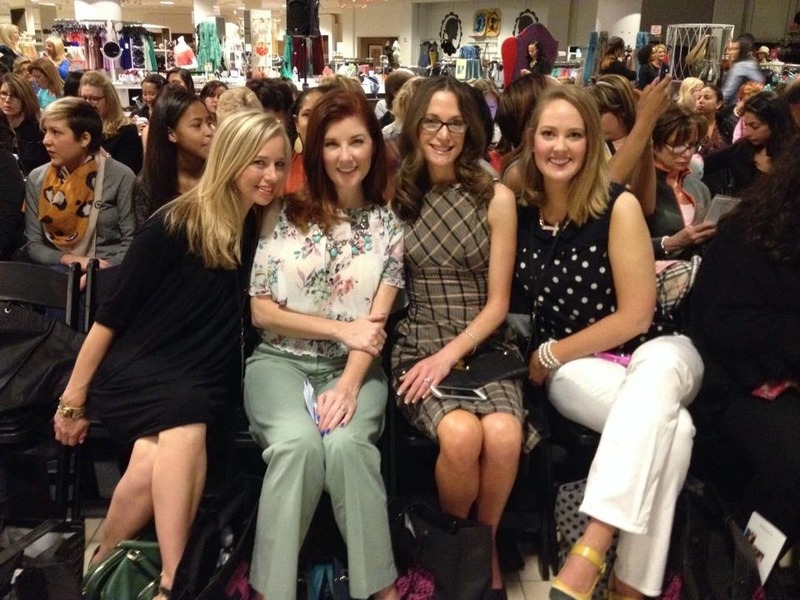 I got to sit next to three of the most fun and fashionable ladies in Dallas: Lisa Petty, Cynthia Smoot, and Holly Quartaro. Elysa Ellis of Gen Pink (love that name!) was also in attendance, but I didn't get to chat with her as much as I wanted to. Thank you, Kelly Hunter for inviting me to share the event with Small 4 Style readers! Didn't make it to the event? No problem! Browse some of the featured products available for purchase at nordstrom.com.